Set up by M G Parameswaran, more commonly known as ‘Ambi’, www.brand-building.com is a site that is set to serve the larger brand building community in India, by being a conduit for coaching and mentoring on a whole range of branding subjects including Brand Strategy, Marketing Communication Strategy, Start-up Advisory, Brand Management Coaching, Preparation of Brand Plans etc. Ambi brings with him over 35 years of experience in a marketing, sales and advertising in companies such as Rediffusion Y&R Advertising, Boots Company, UDI Yellow Pages and FCB Ulka Advertising. He has been involved in the building of brands such as Tata Indica, Santoor, TCS, Digene, Tropicana, Sundrop, Zee TV, Tata Indigo, Sunfeast, Chandrika, Brufen, Wipro, Thermax, among others. He has spent over two decades with FCB Ulka Advertising Mumbai, one of India’s top five ad agencies, from 2003 to 2013 he served as the CEO & Executive Director and served as Advisor from 2013 to 2016. Ambi is an alumnus of IIT Madras and an honor roll graduate of IIM Calcutta. He has a PhD from Mumbai University and has also done the Advanced Management Program from Harvard Business School. 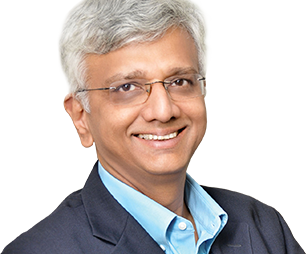 He is the author of seven books and more than 100 articles, many of which have appeared in leading business papers including Economic Times, WSJ Mint, Business Standard, Financial Express etc. He has been a guest faculty at his alma mater IIM Calcutta as well as NMIMS and K J Somaiya. He has taken guest sessions at ISB, Cornell University, IIM Indore, IIM Kozhikode etc. He was a speaker at Kellogg India Business Conference and at IIM Ranchi TEDx. Ambi has delivered keynote talks and conducted training programs for a wide range of companies in India and South Asia, including Tata, Wipro, Blue-Star, Coca Cola, Abbott, Mahindra, Murugappa Group, Nissan, ICICI Bank, etc. He has been part of seminars organized by CII, FICCI, Ad Club, AAAI, MMA, AIMA, etc.